Unsure of what a non-emergency crisis is? Check out this handy FAQ (PDF). 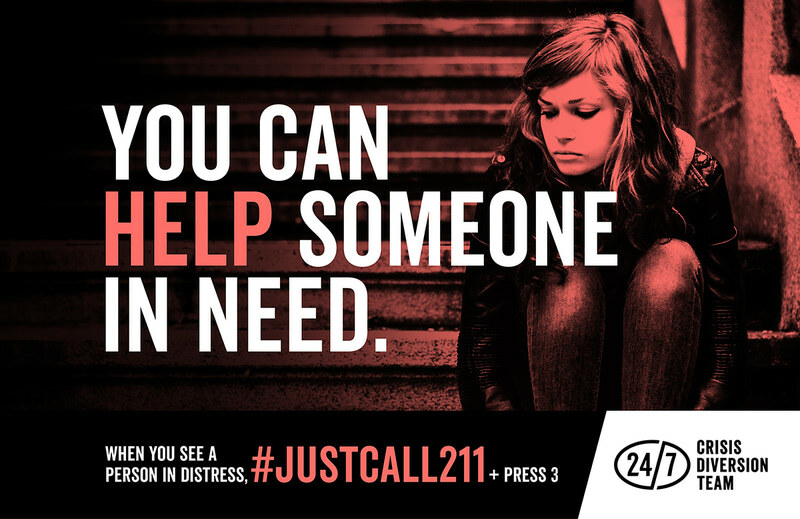 #JustCall211 is a call to action, a way for all Edmontonians to participate in the safety of their community. This social media campaign is designed to create awareness of the available supports and how everyone can help in non-emergency/non-violent crisis situations. The campaign reached more than 436,400 people between November and December 2016. In May 2017, #JustCall211 was awarded the International Association of Business Communicators (IABC) Award of Excellence in the Communications Management division for the Social Media Programs category.